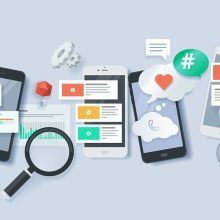 Engage With Insights: How Can Content Improve Your Social Selling Strategy? 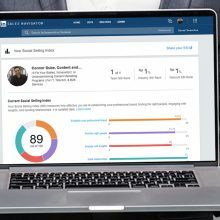 In our previous blog, we explored the four components that make up your LinkedIn social selling index: Establish your professional brand, find the right people, engage with insights, and build strong relationships. 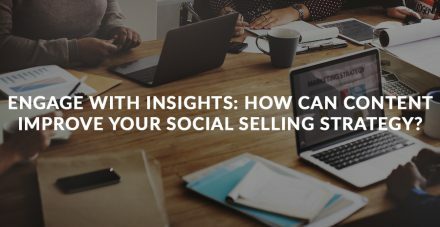 In this post we explore the importance of engaging with insights and why providing thoughtful, relevant content is at the core of any successful B2B social selling strategy. publishing your own relevant content, bringing value to your target audience. How can you produce relevant content? 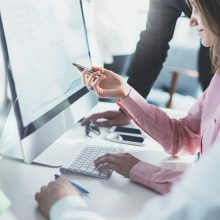 Research your connections’ industries, professional interests, and specific pain points or value perceptions, then provide corresponding personalized insights. When your prospects engage with you or you reach out and engage with them, LinkedIn registers this activity, increasing your overall SSI. Diving deeper, here are a few ways to boost your SSI in the engagement with insights area. Increase your posting frequency. As you post content more frequently, you are likely to elicit more shares, likes, and comments from members of your target audience. This helps not only keep you at the top of their social media feeds but also top of mind as an industry expert. Enhance your content relevance. The more valuable your content is to your target audience, the more likely your prospects will engage with it. Don’t create content that only produces more “noise.” Stop and consider: Do my prospects or clients stand to gain something from this? Pay attention to other LinkedIn members’ activities. 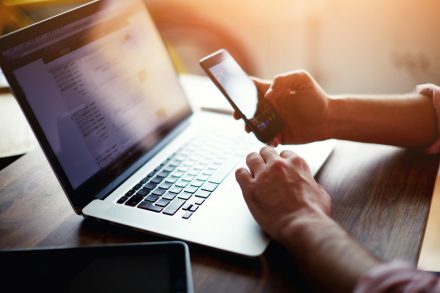 If you see a post from someone in your network, make sure to throw a like or a comment on it if your connection is deserving! LinkedIn rewards this type of engagement with a higher SSI score. Plus, it reminds those in your network you’re keeping up with them and showing interest. Share curated content. Content doesn’t always have to be original — in fact, it shouldn’t always be. If you find a resource helpful, someone in your network likely will, too. Sharing other people’s insights is a good way to show you appreciate outside input and opinions. Remember to be discerning: Just as you should think before you post your own content — evaluate the value in sharing others’, too. Be strategic in your efforts. Don’t bombard your connections with likes and comments just for the sake of improving your score. Prioritizing quality over quantity can make you an invaluable resource. Those engaging with insights are accomplishing much more than boosting their SSIs. 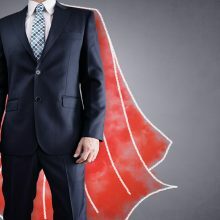 The overarching goal when using this social selling tactic is for prospects and clients to view you as a resource for insights into their own fields, positioning you as a thought leader and keeping you consistently top of mind. 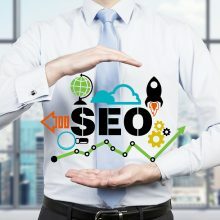 Through relevant content, you can insert yourself into industrywide conversations and provide value to those in your network by educating and informing your connections. Quality content is key to leveraging your social selling skills, and all four components require mindful communication. Putting time and effort into your engagement activities can have significant results, so think before you comment and strategize before you write. LinkedIn is an invaluable resource for lead generation and relationship building: How much you invest in these efforts can directly correlate to whether you reach your full social selling potential. Leverage the biggest B2B platform to your advantage: Learn why content marketing in combination with social selling should be your most profitable marketing investment by participating in our webinar, The Missing Links to LinkedIn Success! Register here.